How much is Zhavia Ward Worth? 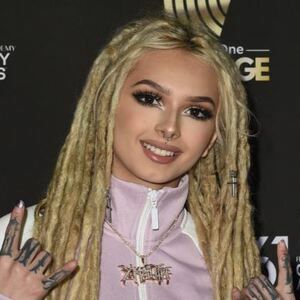 Zhavia Ward net worth: Zhavia Ward is an American singer and reality television personality who has a net worth of $4 million. Zhavia Ward was born in Orange County, California in March 2001. She is best known for competing on the reality TV series The Four: Battle for Stardom in 2018. Zhavia was a finalist but finished as second runner-up despite being a fan favorite. In 2018 she signed a record deal with Sony's Columbia Records, giving her a $700 thousand advance for her first album and an 18% royalty. Zhavia Ward released the single "Say Something" and was featured on the video "Singing our Makeup Routine" by James Charles. Zhavia sang Khalid's song "Location" on The Four which gained her popularity and she has more than 2.5 million followers on Instagram. According to the terms of her record contract, Zhavia Ward got a $700,000 advance for her first album plus 18% of all profits paid via royalties. She'll get an additional $750,000 for the second album then will receive $850,000 for the third and $950,000 for the fourth. She could potentially make $2 million per album with royalties included.